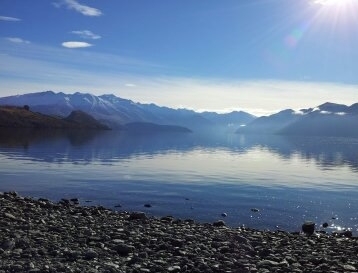 We are located a very short drive out of Wanaka, you need to leave town with the lake on your left hand side drive along Lakeside Road past the Marina which turns into Beacon Point Road for about 1.5kms, turn right onto Plantation Road then immediate left on to Manuka Crescent. There is a large blue motel sign located at the corner of Beacon Point Road and Plantation Road. There are numerous hikes, walks and bike tracks around Wanaka and the surrounding areas which range in distance and suit everyone’s fitness level.